Hi there! We're nearing the end of Lawn Fawn's September inspiration week - I hope you've enjoyed it so far. 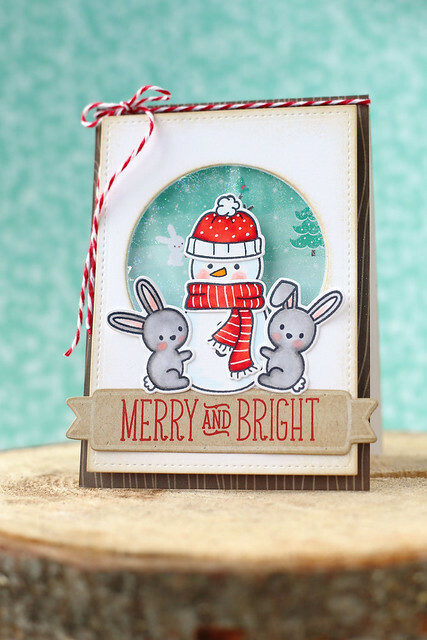 Today we're showing off the most adorable set, Snow Day, and its coordinating dies. I made a shaker card! I pulled out my favorite snowman and paired him with his new bunny friends. When I first showed this card to Kelly Marie, she said it looked like the snowman had groupies. haha. I colored and positioned them in front of the shaker window. 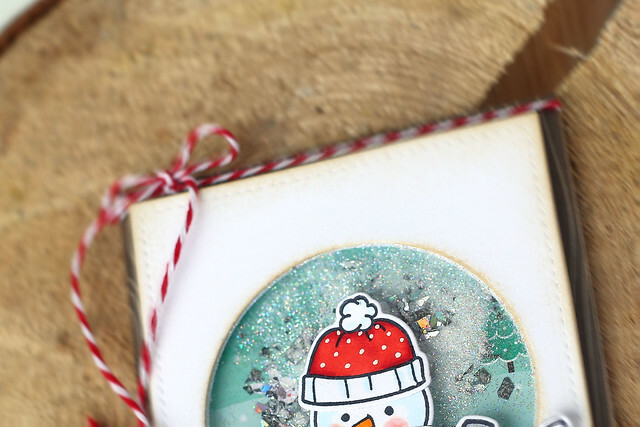 I chose a paper from the snow day collection, and positioned it so it looked like there were more bunnies and birds playing in the snow behind them. Tilt it back to see all of the glitter, ready to fall. I hope it! There's more from the rest of the design team on the Lawn Fawn blog today - click! Super CUTE Elena!!! Those bunnies are just perfect with the snowman <3. Adorable! I love those bunnies and their rosy cheeks! Your card is adorable. I love it. Very cute card! I love shaker cards...especially for children. And what child wouldn't love to receive this card? It is just too cute. What a great shaker card, Elena! 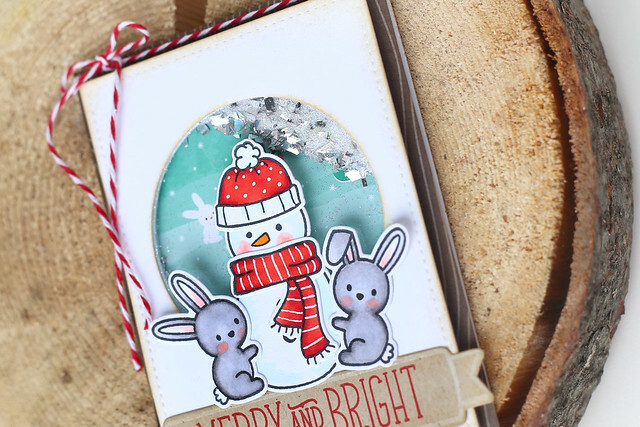 I love how the "snow" is kind of a secret behind the snowman and bunnies. A sweet surprise, if you will. So much fun! Fantastic shaker card!! 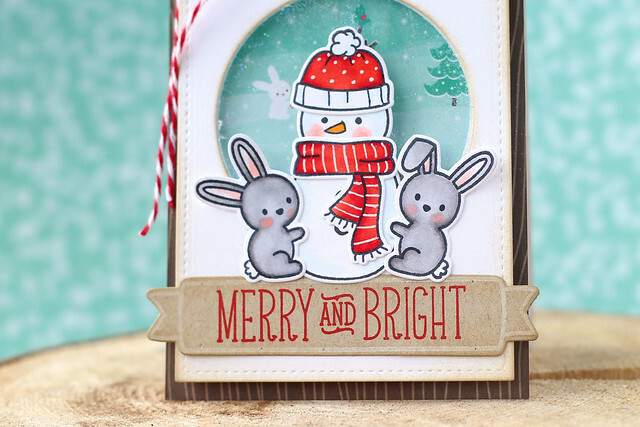 I love the scene you made with the adorable bunnies and snowman. Definitely need to get this set. Oh, I love everything about this card! That is an adorable card, love it.